Director Edgar Wright has a visual language that speaks to me. He finds a way to tell stories that is different from how anyone else does. He brings a different energy, a different texture to film making and it's an energy I enjoy. So far he hasn't made a film I didn't love. 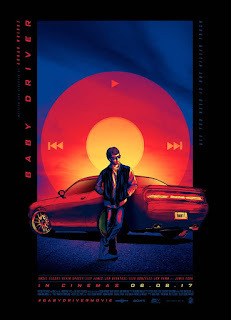 Baby Driver doesn't break his prefect record in that department. His take on the prototypical crime film blends the rich characterization and layered dialogue of a Tarantino film but leaves out the racism and fetishization of violence. He throws in a tragically earnest yet doomed romance straight out of a Linklater film without the angst. And he sums it all up with one of the best shoot out scenes since Heat. But he does so all in a way that is one of the freshest, most exhilarating films to play all year. 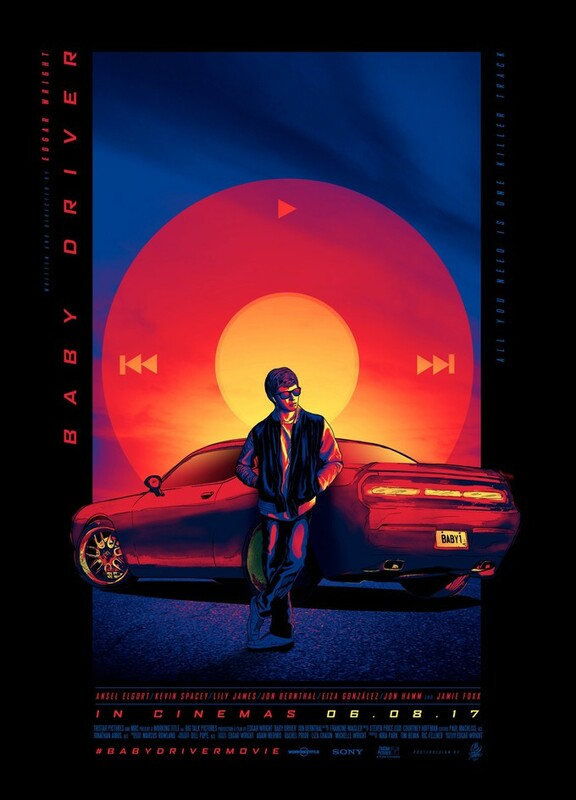 Baby Driver is fun and pulse pounding from start to finish. The secret is the music. Wright scores his film with a song score which works, not only because it plays thematically with the film's gimmick, but because he populates it with just the right song throughout. So much of the dialogue is made up directly of lyric quotes. There is a sense that this world he has created is soaked through with music. The music is almost a character in the film. And the film moves to that music. Baby is alive with that music. Ansel Elgort has never been better. He is fluid throughout the film and moves with the camera through an array of dances which are integrated into his character's being. This is a film filled with big C Characters but it is all about Baby and Elgort delivers on that. He's captivating. I smiled all through through Baby Driver and just wanted to continue enjoying it. It would be hard to imagine not having a great time at this film, and isn't that why we go to movies in the first place?